Our investments help preserve and improve environments. Investments mitigate and build resilience to the effects of climate change and other forms of environmental degradation. The transition to a low-carbon green economy requires innovative technologies, business models and financing structures. The Green Economy Transition approach builds on a decade of successful climate and resource efficiency investments by the Bank. When we launched GET at the end of 2015, we sought to increase the Bank’s volume of green financing from an average of 25 per cent of our ABI over the last decade to 40 per cent by 2020. We achieved this target in 2017 — three years ahead of schedule. The EBRD is leading international action on the transition to a green economy. We coordinate MDB climate finance reporting, help to develop standards and metrics for climate resilience investments, and feature prominently at the Conference of the Parties (COP) events, engaging with high profile stakeholders. The transition to a green economy creates numerous opportunities for growth. Have a look at the right-hand sidebar for video stories on how EBRD clients and countries are moving towards a low-carbon future under our GET approach, and are reaping considerable economic, environmental and social benefits. The EBRD’s GEFF programme runs in several countries. The technical support is funded by donors and provided by a local team for various stages of project origination, investment appraisal and project implementation. The EBRD’s mandate is to foster sustainable market economies that are competitive, well-governed, green, inclusive, resilient and integrated. The green transition quality is put into operation through our GET approach. We have put systems and processes in place to verify, assess and report on the green impacts of our GET projects. We have developed a “green index” to quantify how EBRD countries of operations perform on the green transition quality. This is used to prioritise areas for policy engagement and investments. The index uses physical indicators which reflect environmental performance (for example, current and projected water stress) and structural indicators which reflect the regulatory or market response to the problem (for example, water pricing). The GET Transition Impact (TI) Assessment Methodology was launched in 2017 and assesses the expected transition impact of green projects and project components. GET investments fall into three categories: climate change mitigation, climate change adaptation and other environmental areas. Green activities are determined according to internationally agreed definitions, the systematic impact achieved, the level of innovation associated with the investment and the presence of complementary policy dialogue. All investments are reviewed by a “clearing house” comprised of environmental, climate and economic experts, who advise on whether the proposed project meets the requirements of the GET initiative. We are developing a handbook which provides guidance on the attributes and standards required for a project to sit within the GET approach. This handbook will take account of lessons learned to date and will be published in 2018. We are also providing more information on projects that are categorised as GET. In 2017 we began disclosing projects with a climate component of more than €40 million. From 2018, this disclosure will be expanded to include all projects with a climate component. The EBRD’s environmental and social policy (ESP), which is approved by the Board not only focuses on the Bank’s lending operations but also covers its own operations. The EBRD makes extensive investments in renewable energy, energy efficiency, water, waste management and sustainable transport. We also provide technical assistance and engage in policy dialogue to help our operations become more sustainable. The EBRD has several compliance and accountability functions that cover environmental issues. These are Internal Audit; Evaluation, which looks at project outcomes and lessons learned; and the Project Complaints Mechanism, which independently assesses complaints relating to our ESP. The EBRD has a target that 40 per cent of all investments will be in the green economy by 2020. While the Bank has, for many years, disclosed greenhouse gas (GHG) savings and benefits from its projects at a portfolio level, over the coming year we will begin to disclose project-level climate change mitigation and adaptation finance, GHG savings and climate resilience benefits, as well as working to define and utilise additional impact metrics for water, waste management, and sustainable transport projects. In March 2018 the EBRD became a supporter of the TCFD, the first Multilateral Development Bank to do so. The Bank’s initial disclosure activities as described above will be progressively reviewed and refined as experience with climate-related financial disclosures continues to emerge across the global financial system. Physical climate risk and resilience disclosure will be the focus of a conference to be jointly hosted in May 2018 in London by the EBRD and the Global Centre of Excellence on Climate Adaptation (GCECA). We will also seek appropriate opportunities to support partner financial institutions and corporates in the economies where we invest to adopt the principles of climate-related financial disclosure. Many cities face significant environmental challenges – poor air, traffic congestion, limited land, resource pressure and climate change – and so greater investment is key. The EBRD’s Green Cities Framework (GrCF) builds on our experience of investing in municipal and environmental infrastructure. Central to the programme is the Green City Action Plan (GCAP). This articulates a city’s sustainable development vision, strategic objectives, actions and investments to address priority environmental issues. The first GCAP was adopted in Yerevan (Armenia) in 2016 and a second was adopted in Tbilisi (Georgia) in 2017. The two adopted GCAPs each identified more than €400 million of investments over five-year periods that address the cities’ most pressing environmental challenges. Tbilisi’s GCAP estimates that, once all measures are implemented, the city will reduce its carbon emissions by almost half a million tonnes per year. Five projects totalling over €50 million of finance were signed under the framework in 2017. They will invest in a diverse range of technologies including electric buses, biomass for district heating, reductions of water system losses and public building energy efficiency. In 2017 we launched the Green Cities Climate Finance Accelerator together with the Global Covenant of Mayors for Climate and Energy (GCoM). Under the new partnership, the EBRD and the GCoM are seeking to drive climate action in up to 60 cities, including many that have not previously been a focus for climate support. Cities face many environmental issues, ranging from local air quality concerns, traffic congestion and limited land resources to pressure on water resources and the challenges associated with municipal solid waste. We’re supporting energy-efficient public transport in Georgia’s fast-growing capital city. In 2017, we invested €958 million into renewable energy. This meant scaling up solar energy in Egypt, Kazakhstan and Jordan, constructing wind farms in Serbia and Mongolia, and enhancing the grid for renewable energy network integration in Poland. Significantly, in 2017, we approved a US$ 500 million framework to finance renewable energy in Egypt. This framework, supported by the GCF, focusses on the development of private renewable energy projects under the Egyptian government’s feed-in-tariff programme. Most of the 16 projects signed under this framework focus on one large site near the village of Benban in Upper Egypt, a region where more than 50 per cent of the population lives below the poverty line. Our solar projects will benefit the economy through construction activities, the transfer of skills and job creation. These are the first private utility-scale renewable projects in a sector that is otherwise dominated by the use of hydrocarbons. In 2017, the EBRD developed a set of guidelines with the Energy Community Secretariat on the key design principles that should be adopted to award and deliver public support for the competitive procurement of renewable electricity. These guidelines aim to provide a clear practical framework for our countries of operations, beginning with Energy Community countries, to apply when setting up tenders and auctions. This should help to accelerate the development of cost-effective renewable energy. In 2017 we took a major step forward in the rollout of renewable energy with the approval of a US$ 500 million framework to finance renewable energy in Egypt. By 2019, 37 square km of desert near the village of Benban, outside Aswan, will be covered with panels – a vast solar park made up of multiple plots allocated to different sponsors. In 2017 we supported the progressive decarbonisation of energy-intensive sectors and operations across our countries of operations. Notable examples include Project Latte, a loan to support greenhouse gas (GHG) reductions in the Turkish dairy industry; the environmental improvement of Ukraine’s largest steel mill, Mittal; and continuing work on reducing the carbon footprint of the Egyptian cement industry. In 2017, we invested €1.2 billion in corporate energy efficiency. Energy efficiency is critical for a country’s economy. It reduces production costs, enhances competitiveness, supports energy security and lowers CO2 emissions per unit of production. Our projects in energy efficiency ranged from improving heating to introducing resource-saving technologies to Ukraine’s major retail chain Novus. We need to help countries modernise and improve their building stock to improve energy efficiency and reduce energy consumption. In 2017, more than 80 per cent of building modernisation related GET finance was used to fund projects in the municipal sector and in property and tourism. The bulk of projects in the municipal sector included public-private partnerships (PPPs) with hospitals in Turkey. During the year our activities in green property funds and real estate investment trusts included a US$ 120 million venture to invest in modern, earthquake-proof and energy-efficient property in Turkey. We also provided €21 million equity in a joint venture with leading Greek real estate developer Dimand to invest in brownfield development and urban regeneration projects. We are intensifying our outreach activities in building modernisation by engaging with leading market and policy players. In 2017 we provided support to Ukraine, Kosovo, Serbia, Bosnia and Herzegovina and Albania to put laws and regulations in place to improve the energy performance of buildings through minimum energy performance requirements and certification. We help make transport infrastructure more resilient to the impacts of climate change and enable significant emission reductions. In 2017 we invested €684 million of green financing in the transport sector (six times the amount we invested in 2016). Key projects focused on the modernisation of rail infrastructure in Egypt; the electrification of the major railway line Dolynska-Mykolaiv-Kolosivka in Ukraine; the rehabilitation of docks to boost the shipping industry in Turkey; and investments in mass and public transport in various other cities across our region. These projects are estimated to result in primary energy savings totalling 997,600 GJ per year. Millions of commuters across Egypt will benefit from a €290 million financing provided by the EBRD to support the Egyptian National Railways (ENR) in its fleet expansion and upgrade of services. The EBRD is contributing to the increased efficiency of the Ukrainian railways (UZ) by supporting the electrification and modernisation of a 253 km stretch of railway line in southern Ukraine. The challenges of a changing climate are felt keenly in many countries where we invest. This is partly due to location, but also because under-investment has resulted in ageing, inefficient infrastructure and facilities. We support projects focused on adaptation: that is, they help our clients invest in measures and technologies to address the physical risks associated with climate change and strengthen their climate resilience. We also screen all our projects for climate vulnerability. 2017 has been a record year for climate adaptation finance. Up to US$ 180 million to improve water supplies and build resilience to climate change. The EBRD’s GEFFs, previously known as Sustainable Energy Finance Facilities (SEFFs) extend credit lines to local financial institutions for on-lending to businesses and homeowners so that they can invest in higher performance, green technologies. Our GEFFs operate in 25 countries. The EBRD launched the first official GEFF in March 2017, GEFF in Egypt, together with the Agence Française de Développement (AFD), the European Investment Bank (EIB) and the European Union (EU). It is a comprehensive programme for sustainable energy investment through financial institutions, offering €140 million in loans and supported by a €23.3 million grant from the European Union Neighbourhood Investment Facility and €3.3 million from the EBRD Shareholder Special Fund. Another key GEFF transaction in 2017 was the approval of the €85 million Western Balkans Residential Green Economy Financing Facility, which supports residential energy efficiency investments. The funds will finance urgently needed investments in the residential sector to reduce energy losses and improve energy efficiency through the modernisation of existing apartments and buildings. Examples include high-performance domestic appliances, energy efficient windows and glazing, thermal insulation, energy efficient boilers and more. In 2017 we successfully piloted a GEFF with a focus on climate resilience in Tajikistan under the CLIMADAPT programme. This US$ 10 million credit line programme and pilot initiative facilitates access to climate resilience technologies improving the use of water, energy and land resources in Tajikistan. Over the coming year, we intend to scale up our GEFF operations and establish facilities in Poland and the Slovak Republic. The EBRD’s climate finance partners provide crucial support for our policy dialogue efforts and provision of technical expertise to clients. When market barriers are high, these partners also step in and provide capital expenditure grants or concessional finance. This is combined with the Bank’s commercial finance. By working this way the EBRD puts together integrated packages of loans, grants and technical assistance to address market barriers and help create new markets. The Green Climate Fund (GCF) is the largest and newest international climate fund, created in 2010 under the United Nations Framework Convention on Climate Change. It supports low-emission and climate-resilient programmes. 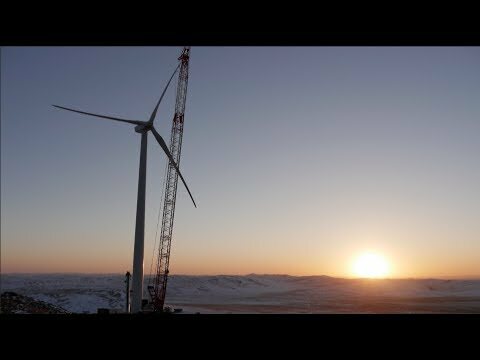 In November 2017, the GCF gave the green light to the largest climate project to date in its partnership with the EBRD, signing a US$ 378 million concessional loan to support new climate finance flows under planned GEFF operations to Armenia, Egypt, Georgia, Jordan, Moldova, Mongolia, Morocco, Serbia, Tajikistan and Tunisia. This will support thousands of individual investments in technologies such as renewable energy, energy efficiency and climate adaptation measures, such as improving water management. Significant donor funds support for GET investments have been approved by the EU (for example €23.5 million funding technical assistance, policy dialogue and small capital grants under the Western Balkans Regional Energy Efficiency Programme), Austria, Japan, Sweden and the Taiwanese as well as from the EBRD Shareholder Special Fund. The Bank played an active role in the COP23 conference in November 2017. 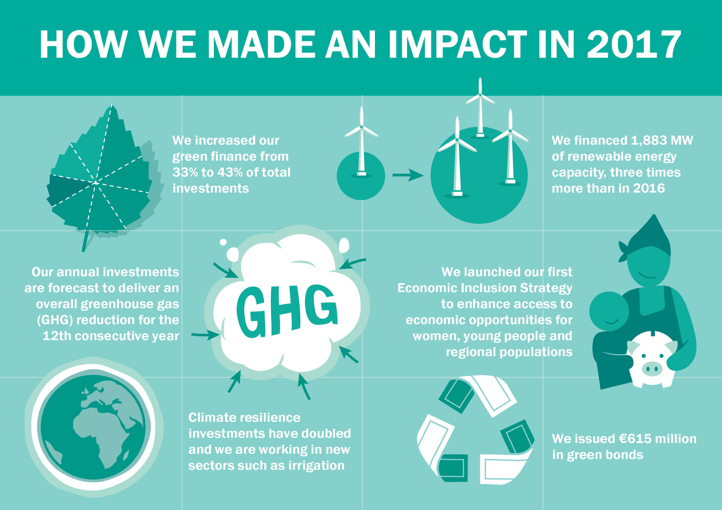 We reported progress on delivering our climate finance objectives under the Paris Agreement of 2015, as well as demonstrating our ongoing commitment to address the challenges and risks of climate change. With its investments, the EBRD will continue to support the countries where it invests to implement their Nationally Determined Contributions (NDCs) under the Paris Agreement. Understanding the fiscal impact on individual country economies is a vital step in this process. In 2017 the EBRD worked closely with the governments of Kazakhstan and Egypt to understand the implications of switching to a green economy for their own domestic economies, such as lower fiscal revenues from fossil fuels. The EBRD has held public discussions on the topic at the 2017 Astana Economic Forum and the 2017 UN Climate Change Conference in Bonn, Germany. In addition to our continued focus on energy efficiency, renewables and green cities – all areas where carbon emission reductions can be achieved quickly — we are also now focusing on climate adaptation financing. We increased our engagement with relevant stakeholders and partners in climate finance in 2017. The EBRD continues to influence and lead in this area, creating blueprints for other stakeholders to follow. We work with other MDBs on a common methodology to track financial flows dedicated to climate change mitigation and adaptation. The latest joint report, prepared by the EBRD, was published in September 2017. This is a cloud-based platform designed to facilitate cross-industry materials reuse among Turkish companies and communities. During 2017, this programme reached 25 participant companies in Turkey and the first full-scale transaction was completed, together with two material transactions for testing purposes. In 2017, the Bank launched two innovation vouchers schemes in Serbia and in Ukraine to boost green innovation in the two countries. Innovation vouchers are grants that can be used by companies to purchase research and development (R&D) services to improve resource efficiency and promote the development and adoption of climate technologies. The use of capital market instruments such as green bonds is key to scaling up green investments. The Bank’s first investment in a green bond (and one of the very first in our countries of operations) was implemented in 2017 through the subscription for 10 per cent (€30 million) of Lietuvos Energija’s debut green bond. The proceeds will be used to finance new investments in biomass and waste combined heat and power (CHP) and refinancing of wind farm acquisitions. A National Energy Efficiency Action Plan (NEEAP) was agreed and adopted by the authorities in Turkey. This is the first such plan supported by the EBRD to be adopted in our countries of operations. There was also follow up on the previously agreed National Renewable Energy Action Plan (NREAP) with the launch of an auction for new wind capacity. A technical assistance framework was approved to provide support to countries on their Nationally Determined Contributions (NDCs) which are the plans defining their commitments on implementing the Paris Climate Agreement. Jointly with the EU, IFC, the World Bank and EIB, policy dialogue aimed at removing barriers to energy efficiency in buildings was conducted in Georgia, Serbia, Tunisia and Ukraine. Sustainability criteria for investment in real estate funds were established and are being applied. Supported by the government of Kazakhstan, the Astana International Financial Centre (AIFC) will be launched in January 2018 to act as a financial hub for Central Asia. The AIFC requested the EBRD provide assistance in relation to the conceptualisation and development of a green financial system as Kazakhstan aspires to become a regional hub for green finance. The Green Financial System will aim to mobilise sufficient volumes of domestic and international green finance and establish an array of financial services required to make necessary investments in low-carbon technologies, energy efficiency and renewable energy feasible. In 2017, the EBRD and the AIFC undertook work to develop an understanding of how to deliver an effective green financial system. These included recommended approaches to governance structures, capacity building, promoting a domestic carbon market, and developing effective regulatory and policy frameworks. These recommendations are being taken forward in 2018 as the AIFC becomes operational. The Green Innovation Vouchers Scheme in Serbia aims at boosting the innovation capacity of SMEs in the field of resource efficiency, thus supporting the country’s long-term economic competitiveness and climate resilience. The €300 million bond, in which the EBRD has invested approximately €30 million, is the first bond issued by Lietuvos Energija, the Lithuanian energy utility. As a key player in trade finance, the EBRD is well placed to help promote and incentivise the trade of sustainably produced commodities and higher performance technologies. Since 2016, the Bank’s Trade Facilitation Programme (TFP) has been implementing the Green TFP: an innovative marketing initiative which aims to stimulate the supply of green technologies into the economies where we invest, particularly into markets where demand is generated via the GEFFs. Over the course of 2017, the Green TFP has contributed more than €127 million in GET financing. More than 180 Green TFP transactions have been financed in 11 EBRD countries of operations, resulting in estimated annual energy savings of 206,352 MWh1, water savings of 18,592m3 and emission reductions of 68,995 tonnes CO2 equivalent. Transactions have ranged from the import of LED lighting to Armenia and Serbia, to solar cells to the Kyrgyz Republic for the production of solar panels; as well as transactions supporting resource efficiency, such as the import of water-saving processing equipment to Ukraine. 1 This includes the equivalent in primary energy savings from renewables, the actual figures are annual energy savings of 198,309 MWh and renewable energy generated 3,217 MWh. The EBRD’s Green TFP has won an award for “innovative product” from the leading business and finance magazine Global Finance. 2017 marked 20 years since our collaboration began with the Food and Agriculture Organization of the United Nations (FAO). Since then, the EBRD and FAO have collaborated on more than 150 projects with a total value of US$ 36 million, facilitating more effective investments across agrifood chains, helping to improve energy efficiency and productivity, and promote sustainable and inclusive growth. “Greening” the agribusiness sector and making systems within it more sustainable is the main priority for our future joint efforts with FAO. This includes helping countries curb food losses, use resources more efficiently and reduce the sector’s carbon footprint. Both institutions already help countries and investors prioritise the adoption of climate technologies in the agricultural sector – from solar-powered water pumps to energy-efficient cold storage. 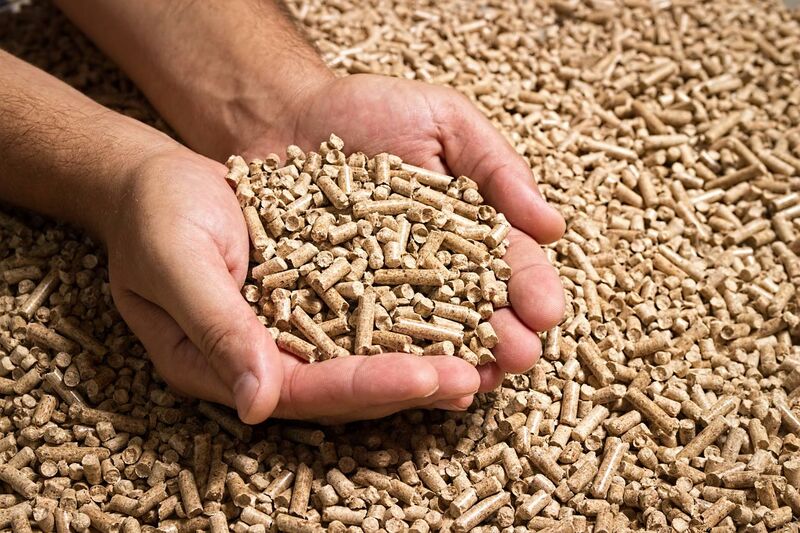 We are also exploring the potential of converting unused agricultural residues into bioenergy for heating, cooking and electricity in countries such as Egypt and Turkey. Equally important to ensure sustainability from “farm to table” is the inclusion of producers and small and medium-sized enterprises in modern food value chains. To achieve this, FAO and the EBRD are assisting these businesses to set and meet higher food quality and safety standards. Global agriculture generates as much greenhouse gas as the worldwide transport sector. Sustainable food production is therefore not a luxury but a necessity for our common future. How can we best balance the need for nutritious and affordable food and that of protecting the environment? 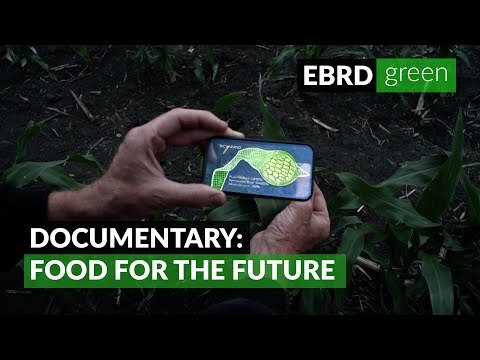 Making “farm to table” chains greener and more participatory in central and eastern Europe, Central Asia and the southern and eastern Mediterranean. Transport drives development, builds markets, facilitates trade and connects local communities to key markets and opportunities. In turn, sustainable transport leads to sustainable development, bringing benefits now and for the future (see section on SDGs). 2017 was a remarkable year for railway finance. Railways form an integral part of transport networks in our countries of operations. They encourage a significant shift from roads to improve overall GHG emissions and safety. The Bank financed projects in Egypt and Moldova for the upgrade of locomotive assets and in Tunisia and Ukraine for the electrification and upgrade of railway lines. The overall impact of these projects, and others, will be annual emission savings of approximately 200,000 tonnes of CO2 equivalent. Our Green Logistics Programme (GLP) takes a strategic approach towards addressing carbon emissions from the transport sector. It encourages major players to introduce best practices in carbon reduction to combat highly inefficient energy use. Best practices include using more intelligent transportation systems, last-mile logistics, a modal shift to lower carbon transport modes, green packaging, and green warehousing. In 2017 there were two projects within the framework of the programme in the maritime (Ekol Ro-Ro in Turkey) and logistics (DFF Meest Logistics in Ukraine) sectors. In 2017 we also launched work-based vocational training as part of the GLP. The overall objective is to provide a curriculum on green logistics based on international best practice in Turkey, Serbia and Morocco. We are promoting road safety across our regions in various ways: we finance road safety improvements, mobilise funding for capacity-building, policy and institutional development and organise awareness events. The Bank’s 2017 road rehabilitation project in Montenegro will support the strengthening of road safety management and climate change adaptation in a challenging geographical location. We also financed the construction of a new highway section in Kosovo. This will help the government develop road safety legislation and establish an issuing agency for training. We increased our role in this sector in 2017 with the financing of Ro-Ro vessels and a new floating dock, both in Turkey. Ro-Ro vessels form an integral part of developing the “motorways of the sea”. This significantly decreases the carbon footprints as well as saving time, avoiding border crossing fees and improving road safety. Supporting the integration of Kosovo, Europe’s youngest state, into regional and international networks, the EBRD is providing a €71 million loan for the construction of a new 30 kilometre highway section. A boost to the Turkish shipping industry with a €27.5 million EBRD loan to the fast-growing sea transportation firm Alternative Transport that will help it realise its international potential. In 2017, we financed 41 projects across 18 countries in the MEI sector, representing an EBRD commitment of €1.3 billion. 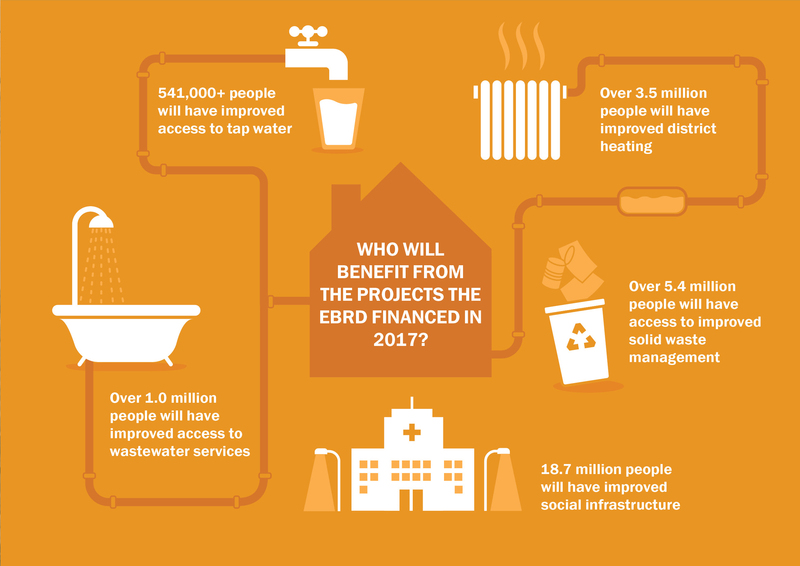 These investments are expected to benefit a total of over 29 million people in the EBRD region through provision of improved district heating, solid waste facilities, water services and other municipal infrastructure. In addition, over 960,000 people are expected to use public transport systems on a daily basis which have been modernised and made more efficient with our support. Around 92 per cent of these investments were supported by the Bank’s GET initiative leading to predicted emission reductions estimated at 734,000 tonnes of CO2e a year. Our MEI investments leveraged considerable volumes of loan and grant co-financing from commercial banks, the European Union (EU) and other sources, to a total of €243 million in mobilised co-financing. The EBRD provided a €160 million sovereign loan to Kharkiv, Ukraine’s second largest city, for the extension of its metro network. With a loan of up to €186 million to the Fayoum Water and Wastewater Company for the development and expansion of its wastewater services, we are improving the living conditions of approximately three million inhabitants of Egypt’s Fayoum governorate. Addressing inequality of all kinds is a vital part of sustainable growth. The EBRD’s Strategy for the Promotion of Gender Equality focuses on supporting women’s economic inclusion, namely through: access to finance; access to employment and skills; and access to services. We promote gender equality through our investments – whether it’s to engage with our clients to improve equal opportunities for all or with our Women in Business programme. Women’s entrepreneurship plays a key role in creating jobs and driving economic growth in the countries where we invest, but access to bank finance remains limited for women-led SMEs, particularly in the SEMED region. The first Women in Business (WiB) credit line in SEMED was signed in November 2017 in Egypt with QNB Alahli, and the first quarter of 2018 will see the launch of the first WiB programme in Morocco, with opportunities in Tunisia also being explored. Improving women’s access to employment is also one of the key objectives of our Gender Strategy. 2017 marked the launch of several equal opportunities projects aimed at greater access to employment and related training opportunities for women candidates and staff within our client’s workforce. 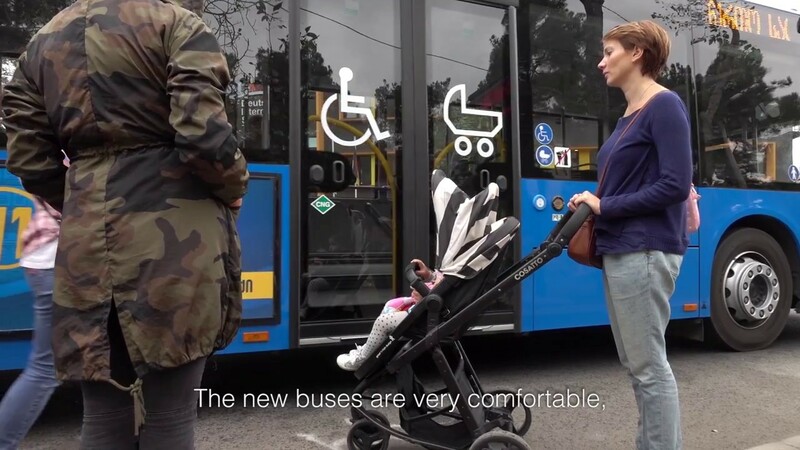 In Georgia, for example, we are working with the city of Tbilisi for the benefit of the Tbilisi Transport Company LLC to improve HR policies and standards with respect to equal opportunities in a sector that is mainly male-dominated. We are also working with subsidiaries of IC Elektrik, a Turkish company active in power and energy, to develop a tailored Gender Action Plan in a country and sector where women face substantial barriers in access to employment and skills. We also work on policy dialogue to promote gender equality through initiatives addressing legal and regulatory bottlenecks for women’s participation in the economy. Such initiatives have included building the capacity of policy-makers in Tajikistan to formulate investment climate policies to support women entrepreneurs and working with the governments of Kazakhstan and the Kyrgyz Republic towards reducing legal barriers which ban women from participating in a long list of occupations and tasks. We signed 29 projects with a gender focus or component in 2017. 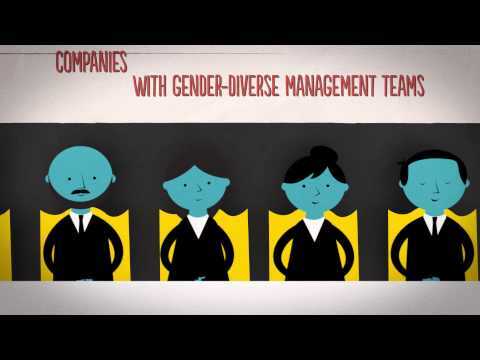 Gender equality in the workplace is good for business, and it needn’t be difficult to achieve. Our Women in Business programme helps women entrepreneurs in over 17 countries access the financing and business advice they need to grow their businesses. We support our clients across all sectors to diversify their workforces, introduce high-quality local training and open up paths to employment. This is at the heart of economic inclusion. These efforts bring clear benefits to business as well as the wider community. With our new Economic Inclusion Strategy (2017), we are strengthening our private sector-focused approach to promote a greater economic integration of women, youth and people living in less-developed areas. We aim to gradually widen this approach to include other groups such as an ageing workforce, people with disabilities and refugees. Our strategy also highlights the importance of enhancing the financial inclusion of and entrepreneurship opportunities for young people and women through start-up and SME support and by incentivising SMEs to offer more work-based learning opportunities. Regional inclusion will be strengthened through enhanced infrastructure connectivity and IT links, as well as access to water, wastewater systems and irrigated land. We signed 31 projects with inclusion components, representing a total investment volume of €1.6 billion. We launched a set of projects in Kazakhstan to promote economic inclusion in the energy and natural resources sectors. These include: vocational training and partnerships between employers and local schools; policy engagement to remove barriers for women to work in these industries; and the improved national occupational safety standards across both sectors. In Turkey, we are helping to develop technical and vocational training programmes to provide young people with the necessary skills to forge successful careers in sectors such as mining and the automotive industry. 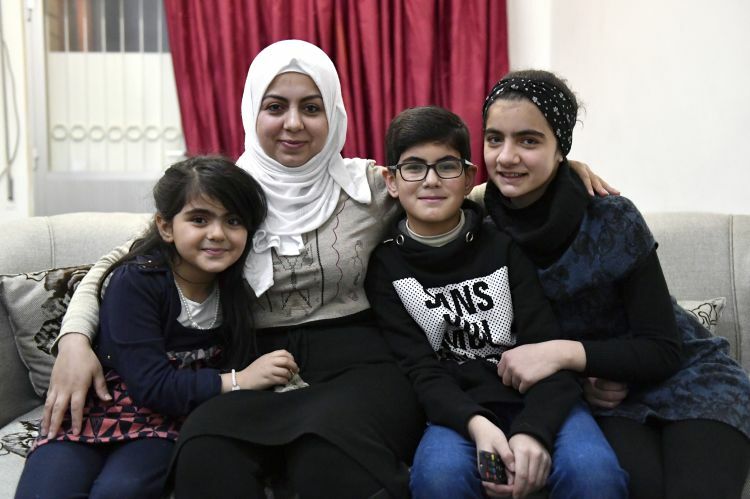 The Abdali Mall project in Jordan, established in 2016, has successfully trained more than 140 Jordanian young people as well as 85 Syrian refugees, who are progressing into formal employment in the retail sector. These activities will continue. We’ve been working on improving Jordan’s infrastructure and helping more refugees into the workplace. Second project to operate under new approach to equal opportunities, training for women and youth in energy and extractive sectors. The EBRD is recognised globally for its expertise in working in challenging economic environments, including those related to nuclear safety. Our experience means we are best-placed to manage these two important environmental investment programmes in eastern Europe. In doing so, we actively seek new contributions and new project opportunities for both programmes, and guide the discussion on reforms and sector priorities. The E5P is a multi-donor fund, the purpose of which is to facilitate investment in energy efficiency and environmental projects, reduce greenhouse gas emissions and promote policy dialogue and regulatory reforms in E5P countries. The E5P’s initial focus has been Ukraine and it also operates in Armenia, Georgia and Moldova. In 2017 the Fund was extended to Belarus. The NDEP is a multi-donor fund that manages nuclear and environmental challenges. In 2017 two major wastewater treatment projects were completed in Russia under NDEP. Kaliningrad, a city located on Russia’s Baltic coast and home to over 400,000 people, has a new plant which treats approximately 150,000 cubic metres of wastewater every day. In addition, the upgraded Northern Wastewater Treatment Plant in St Petersburg will have the capacity to treat 1,200,000 cubic metres of wastewater per day. Most of the projects financed from the seven nuclear safety funds managed by the EBRD have a significant, beneficial impact on people and the environment. More than 40 governments have contributed almost €5 billion to these funds. The EBRD has also made a €715 million contribution to the Chernobyl projects, including the New Safe Confinement. 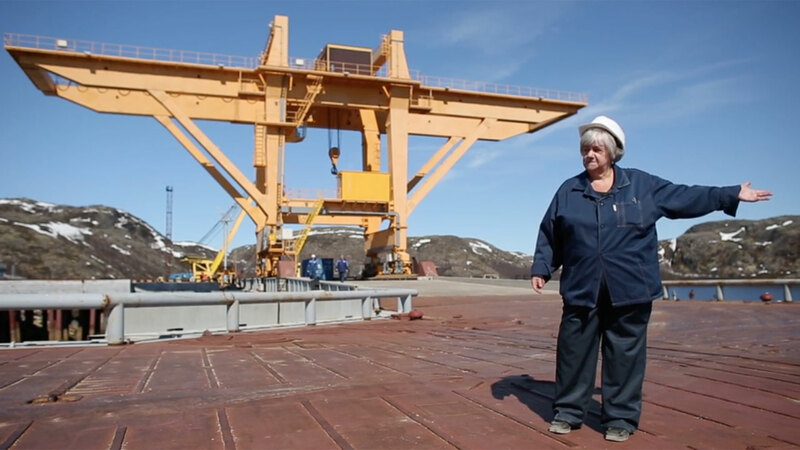 In Andreeva Bay, on the coast of the Barents Sea near Murmansk, a complex nuclear fuel management facility was put into operation in early 2017. 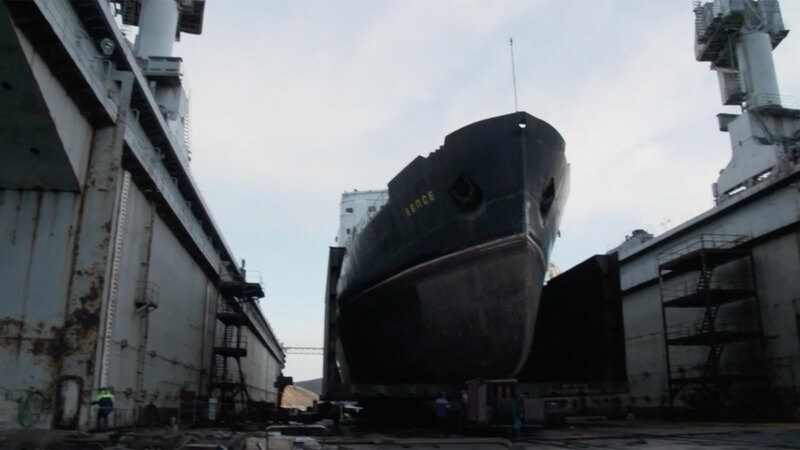 The spent nuclear submarine fuel “temporarily” stored at Andreeva Bay for almost 40 years – a legacy of the Soviet nuclear fleet – poses a huge environmental risk. The first shipment of retrieved spent fuel in June 2017 was a huge step towards elimination of the main environmental hazard for the entire region. A key nuclear safety objective was also achieved at Ignalina Nuclear Power Plant in Lithuania. All nuclear fuel has been retrieved from the core of the second reactor and safely stored in the new interim storage facility which received its licence for industrial operation in 2017. Removal of spent fuel from a reactor core is a significant step change in nuclear safety. We also made progress with our new fund, the Environmental Remediation Account for Central Asia, which supports measures to deal with the legacy of Soviet-era uranium mining and processing in the region. Framework agreements have been signed with the Kyrgyz Republic, Tajikistan and Uzbekistan which will provide the legal basis for implementation of projects in these countries. The grant will support the construction of a new landfill with modern solid-waste management processes, providing major environmental and social benefits for local residents. In June 2017 the first shipment of spent nuclear fuel in safe conditions sailed off from Andreeva Bay. This was a landmark event in safeguarding the environment. The Nuclear Window is a special arrangement within the NDEP Support Fund for activities to manage the legacy of the operations of the Soviet nuclear fleet in northwest Russia. Support from our donors —governments as well as multilateral institutions, the European Union, global climate funds, and private sector firms and foundations — makes so much of the EBRD’s sustainability work possible. Donors support the Bank’s work through co-financing grants as well as technical cooperation projects and policy reform activities. The projects they support cover all economies where the EBRD is active, with an emphasis on the Early Transition Countries and the SEMED region. Above all, donor funds provide strong support when it comes to increasing the sustainability and transition impact of the Bank’s work across sectors and regions. In eastern Ukraine, Karina, alongside many others, learns how to become a vet on Molocharske Farm. Working with local NGOs, we help junior vets find jobs on farms and build a more inclusive economy.